The Solar Extreme is Go Power! 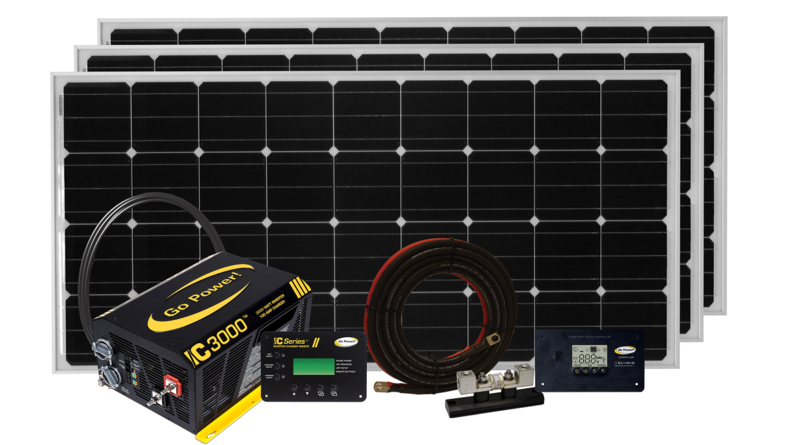 's largest solar and inverter system on the market. It features three of our 170 watt solar panels, providing a massive 510 watt system (26.4 amps). This system also includes the largest pure sine wave inverter charger, allowing users the benefits of seamless 3000 watts of AC power.